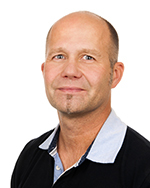 As one of 24 PIs in Norway (all disciplines included), Tor Erik Rusten, who is group leader at Institute for Cancer Research and PI in Centre for Cancer Cell Reprogramming (CanCell), has been awarded a prestigious “Toppforsk” grant from the Research Council for the project “Tumor-Host Biology”. Each of the 24 projects receive between 15 and 25 mill NOK. The grants are aimed at research communities that have the potential to become international leaders within their fields. Two of the 24 selected projects are led by group leaders at the Institute for Cancer Research. The other is Karl-Erik Malmberg from the Department of Cancer Immunology. In this large-scale 5-year project Tor Erik and his group will focus on the reciprocal interactions of tumor-initiating cells and their microenvironment and how non-tumor cells support tumor growth. Combining “-omics” approaches and genetic screens in live animals the group will seek to define the communication between tumor cells and the microenvironment during carcinogenesis. In particular, the group aims at identifying the nutrient and growth factor necessities that support tumor growth. The ultimate aim of the group is to identify new avenues of cancer therapies that do not depend on tumor-intrinsic mechanisms. The project is a central component of CanCell’s research program on identifying new Achilles’ heels of Cancer.